Love trumps everything, Is that possible? Ask anyone in love, and the answer will most likely be, YES.. Does sound like a tall order in todays world? 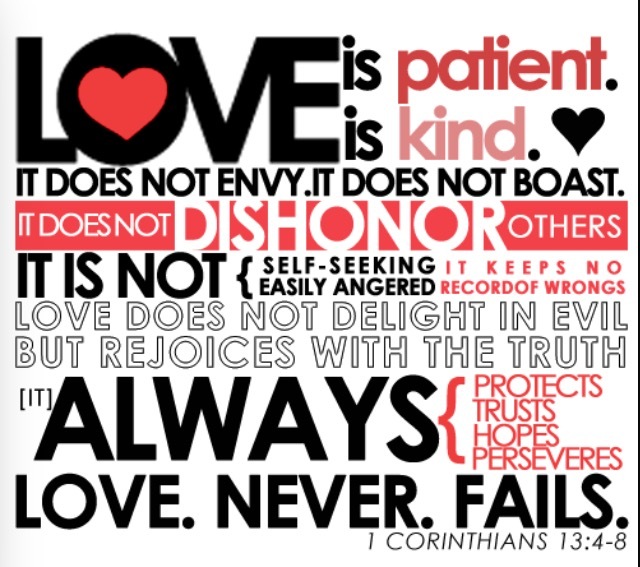 In my humble opinion, 1 Corinthians 13: 4-13 are powerful scriptures that begin with simple phrases, such as “love is kind”, elevating with contrasts like “it does not envy”. It’s hard stuff. If you think about the message it conveys, and the human strength it commands, you will see a completely opposite perspective of what lives in the heart of mankind. 1. The Eminence of Love, verses 1-3 – love is the foundation of all spiritual gifts, and nothing is of value without love as the main motive or driving force for action. 2. The Explanation of Love, verses 4-8 – a description of love, what it looks like and how it operates in our lives, and he contrasts the verses with what love is not. 3. The Endurance of Love, verses 9-13 – emphasis on the permanency of love, the sustaining promise that trumps all other virtues, whether faith or hope, only love endures. It makes perfect sense why 1 Corinthians 13 is recited at most weddings. It offers the perfect ingredients for strong marriages and teaches a thorough lesson on love, what it means and how to make it last forever. 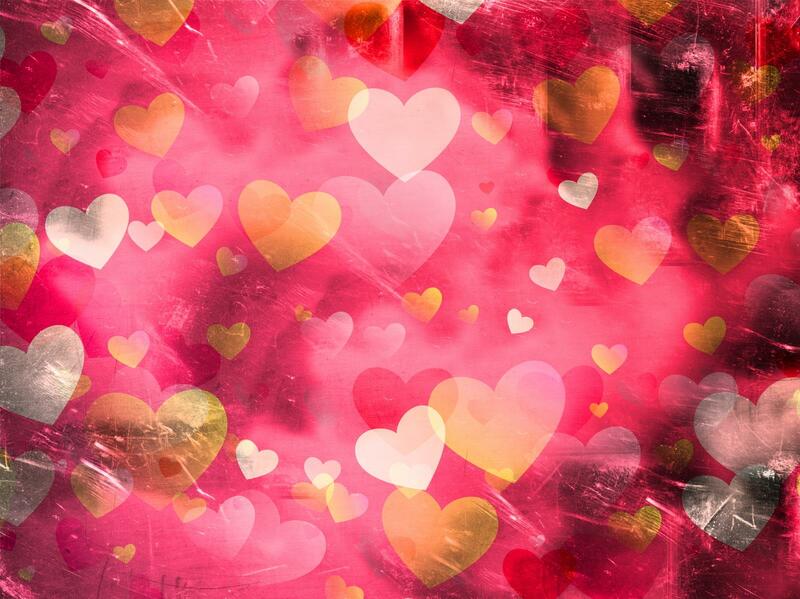 Valentines Day is a day the entire world celebrates – Love. Imagine a world where love penetrated every relationship, not just family or romantic relationships, but the person who bags your groceries or brings your food to the table at restaurants. 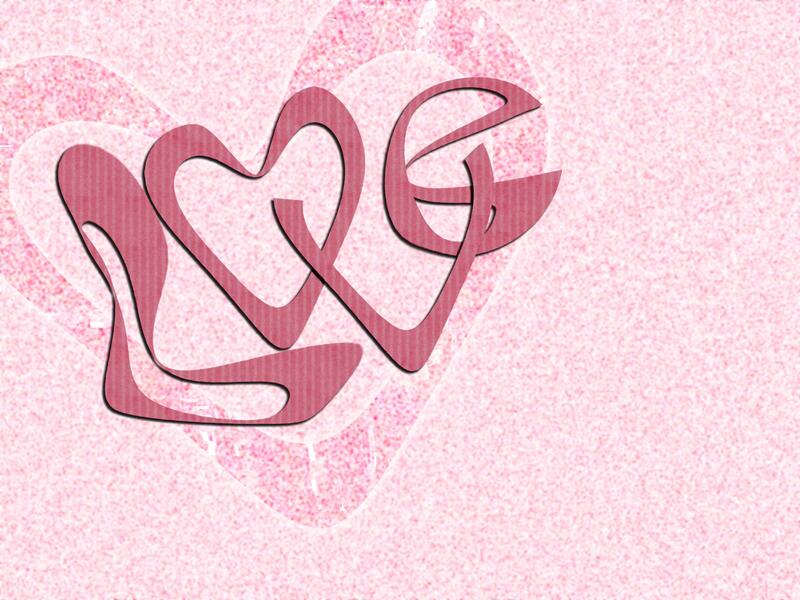 Love is not just a 4-letter word, its action in motion, an attitude toward others. Who doesn’t like to be around loving people? Everyone desires to be loved and accepted by others, it’s human nature. With these specific instructions written for guidance, we continue to struggle with loving each other. The ones close to our hearts are easy to love, but what about the ones we find unlikable or hard to love? And what about the people who hurt or abandoned us? Only through love can forgiveness heal and life move forward. A world united in love would have no need to be at war. Hate and fear would cease to exist. Friendship, relationships and communities would thrive.The greatness of this concept would be limitless, heavenly in fact. And one day, it shall be. I can only imagine. How will your Valentine’s Day impact others? Do you have any advice on how to love more, how to add to the world around you? Thought I would stop by for a visit. Glad I did as this is just an excellent post! I think if we could all just practice kindness every single day. I work on it, some days better than others.